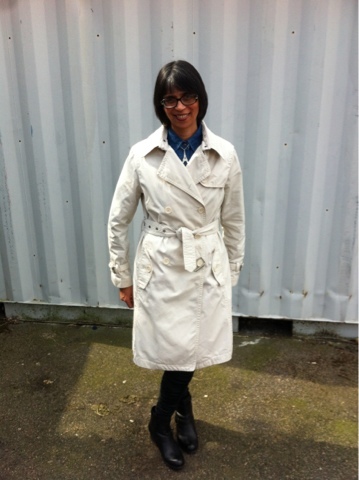 Thrift Inspiration........Gap Trench for £1!!! Hi everyone! I hope you all had a great weekend and enjoyed some moments in the sunshine-the weather appears to be creeping up temperature wise so hopefully we can now say Spring is here, yay!!! On a thrifting trip last week I went into a town that I had not visited for a few months and one of the lures to visit is there is a £1 charity shop-the Sense charity have been doing this for quite a long while here so it must be very popular. After looking at all the other charity shops I didn't see anything that really inspired me so when I went into Sense I wasn't really expecting anything. The manager was in the back room steaming and sorting items and as I walked past the room I saw the Gap trench coat hanging up. She said it was going to be put out so I said I would take it and as I had it in my hand I noticed a full length Tissavel faux fur coat which she had only put out a few minutes earlier so that was snatched up too! Two coats for £2, less than a regular sized coffee and these definitely raised my adrenalin levels without the need for caffeine!! So here is the Gap trench after I had laundered and pressed it-it is a cotton coat and unlined so is very low maintenance in the care stakes. I would go so far to say the coats are my best thrifted items for 2013 so far, you really can't go wrong with quality items at such ridiculously low prices! There are a lot of traditional features on the trench, around the neckline, shoulder and collars and the back has an inverted pleat detail too. 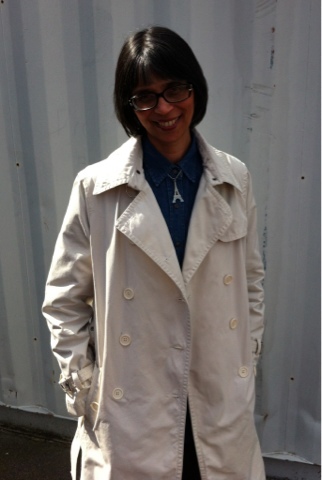 I am linking this post to the lovely Patti at Not Dead Yet Style for Visible Monday. What has been you best bargain of the year so far-was it thrifted from the boot sale or charity shop or did you get an amazing bargain in the recent sales, please share!! what a great find! hopefully you will model the other coat on the blog soon! You scored big time - can't ever go wrong with a classic trench. It looks perfect on you and yes, agree it's the double breasted style that's meant to be slightly roomy but as long as the shoulders and sleeves fit, it's fine. I would say my fav items are coats too because I get so much wear from them, especially this endless winter and tailored shapes are my first love. I guess you've hit a jackpot with this trench - classic cut and color, good quality and at a good price! 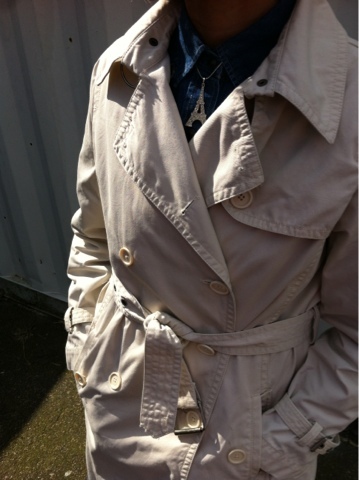 Wonderful classic trench! You will love wearing it, I am certain. And the Eiffel Tower pendant is so special, love it. Thanks for sharing with Visible Monday! No!! £1??? What a bargain! And the denim shirt is a steal too. Great look! It's pretty awesome! A little bigger is great for when it's really cold, so you can get more under it! WOW! What fab bargains you got. Love that trench, looks so pretty on you! What a find! 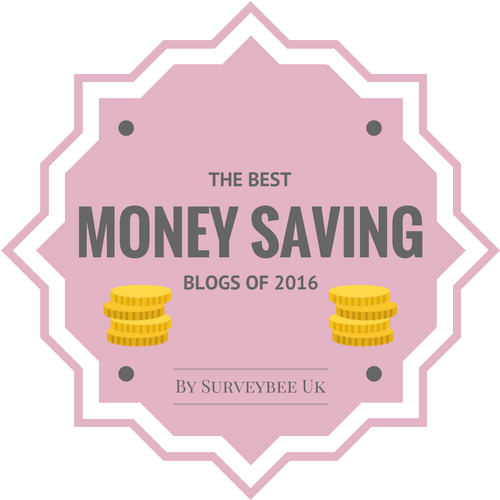 As a fellow Visible Mondayer, do pop by my blog if you get the time. That is my type of buy, yeahhhhhhhhhhh, and looks regal on you. Wow Sharon, that coat looks like it was designed for you! What great finds! The cool thing about a "trench with a past" is that it automatically comes with a built-in kind of glamour that you can't buy in a brand new one. There's that been-in-the-trenches, kissed-at-a-train-station, solved-a-noir-mystery referential thing! Not to mention the ever popular wore-this-with-nothing-underneath-to-surprise-my-lover reference. 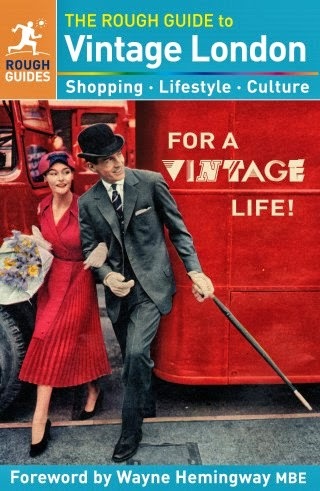 That's a lot to get for two pounds! OOOoh, cool! Is that Barking? I didn;t know they did the £1 thing?! You look great! And can't wait to see the fur coat! The Last Day for Faux Fur?